Today marks the biggest revamp for the GPS tracking device creator, Tractive, since its conception in 2012. Tractive has rebranded, having just released a new and improved visual interface, streamlining their entire user experience offering customers an incredibly fresh and exciting journey. November 7, 2017, Pasching, Austria – Today marks the biggest revamp for the GPS tracking device creator, Tractive, since its conception in 2012. Tractive has rebranded, having just released a new and improved visual interface, streamlining their entire user experience offering customers an incredibly fresh and exciting journey. Tractive has grown to over 50 employees, double that of just one year ago, and offers more than 20 products and services – no small feat for any company. “We have grown so much over the last few years and it is imperative that we keep our focus steady and consistently deliver a clear brand message. 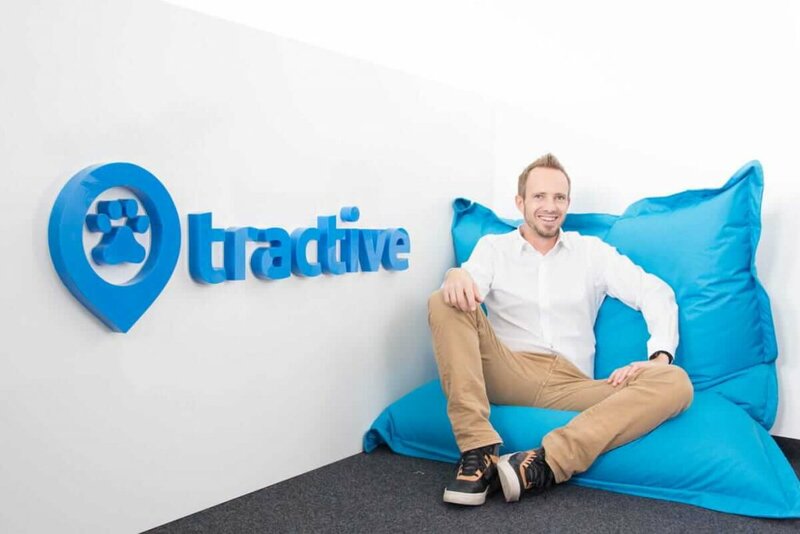 We wanted to ensure that our mission resonated powerfully throughout the entirety of the business” , said Michael Hurnaus, CEO of Tractive, “and launching a new fresh look and improved experience was an essential part of that”. With this rebranding, Tractive aims to reach a new level of unity, providing their customers with the smoothest experience possible across all devices and services while conveying their message clearly and with great spirit – “Our mission is to strengthen the bond between pets and their owners by creating technology to ensure a healthier, long and safer life together”. The rebranding will span across all existing applications on the Apple App Store and Google Play starting from the 6th of November, with the subsequent rebranding of the website on the 7th and ultimately, the web app rebranding in the coming week. Customers should feel excited as Tractive continues improve and roll out these updates, marking a key milestone in Tractive history. Tractive was founded in 2012 in Pasching, Austria by a group of paw-ssionate entrepreneurs looking to create a safer environment for the millions of pets in the world. Tractive’s mission is to strengthen the bond between pets and their owners by leveraging technology to ensure a healthier, longer and safer life together. Tractive specializes in the development of pet wearables and apps for pet owners and pet lovers alike. In addition to Tractive GPS, Tractive’s flagship dog tracker and app, the company produces a range of applications including the very popular Dog Walk app and the pet social network, Tractive Photos, used by millions of pet owners. Additional products in Tractive’s portfolio include apps such as Pet BlaBla, Pet Battle and Petnames. The Tractive media kit is available on our press page and for any press communications please email press@tractive.com.